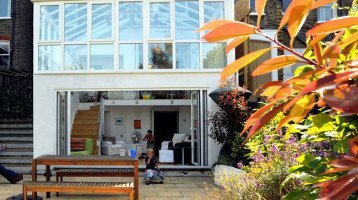 Conservatory Refurbishment Could Transform Your Home. 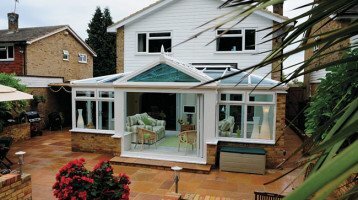 If you are in need of Conservatory Repair you are not alone. Current figures suggest there may be over half a million UK homes in need of conservatory restoring. Many of these conservatories are lying unused and unloved as they are either too cold or in need of repair. Replacing an old plastic roof with glass can transform a conservatory roof and give it a brand new lease of life. Single glazed conservatories, or those fitted with fading and foggy plastic sheet are a good example, as are wooden conservatories. Years of being open to the elements may have taken its toll on the frames and glass. All is not lost. Modern conservatory materials enable cost effective repairs that can bring everything back to life and give you that valuable extra space once more. Conservatory repair can involve replacement glass, or even a new roof on top of your existing windows and doors. You can also replace the conservatory entirely using the existing base and walls. The build costs of the base and any brickwork used to be a huge part of the cost. By using the existing base you can repair your conservatory at a fraction of the original price! If the original sizes remain the same there are no planning issues to worry about. A simple conservatory refurbishment will enable you to replace it with a brand new one. Your new conservatory will be much more efficient and quieter. It will be made of the latest materials and will once again give you years of trouble free use. Staying the same size means there are no planning issues. This enables home owners to replace a tired old conservatory with a new one built with the latest materials. You can also add Bi-Folding doors, other doors or change that old looking roof to a more modern one. You can give your home back the extra space and add value to the property. 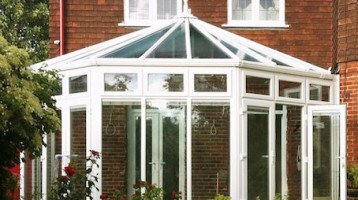 We are experts in conservatory repair and construction in Surrey and will be pleased to advise you. Visit our Double Glazing Showrooms for free help and advice.